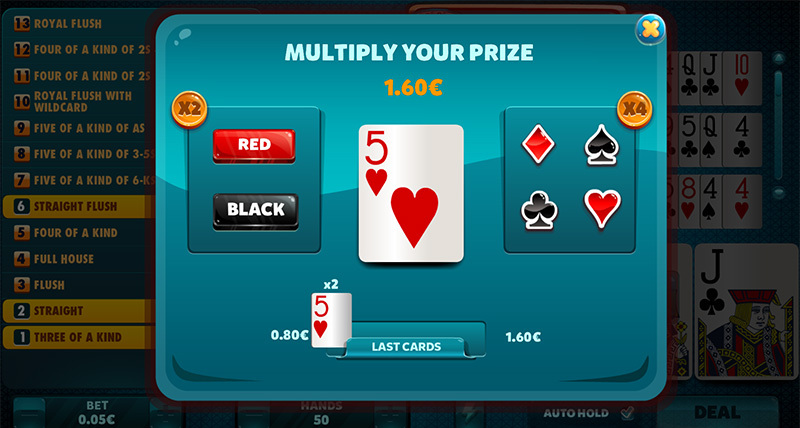 If Four of a Kind doesn´t mean much to you, in this new format you can go for a five of a kind. 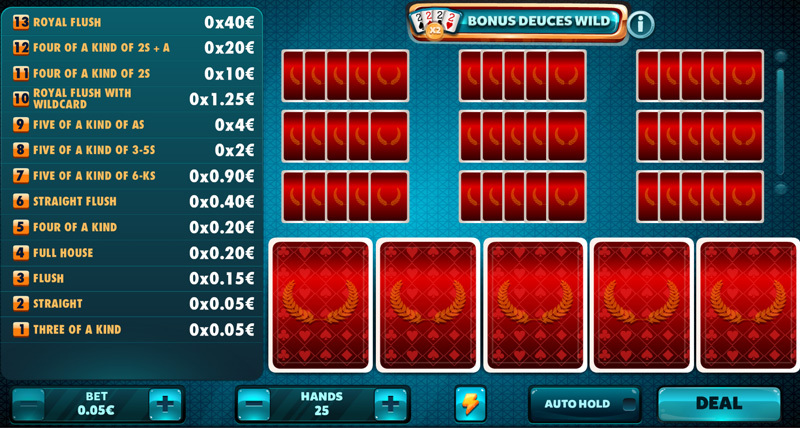 Use the twos as wildcards and obtain one of the biggest prizes in the game! 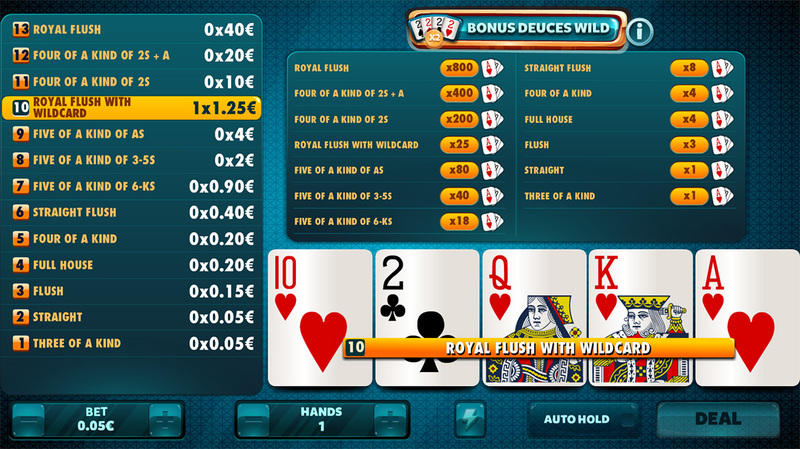 Bonus Deuces Wild: The only format where you can obtain a five of a kind. 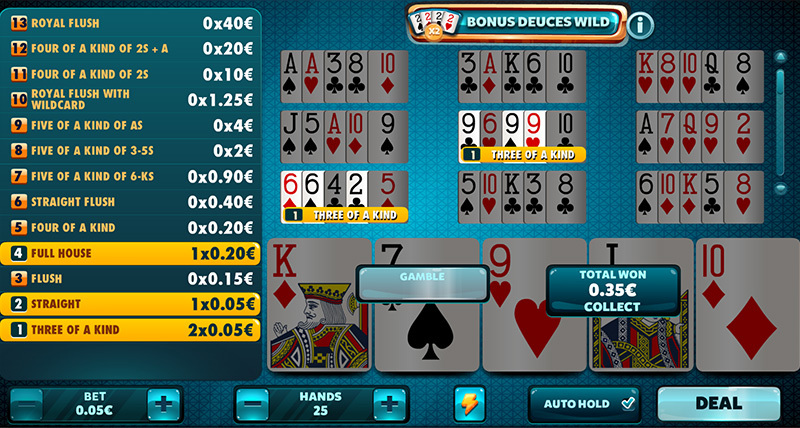 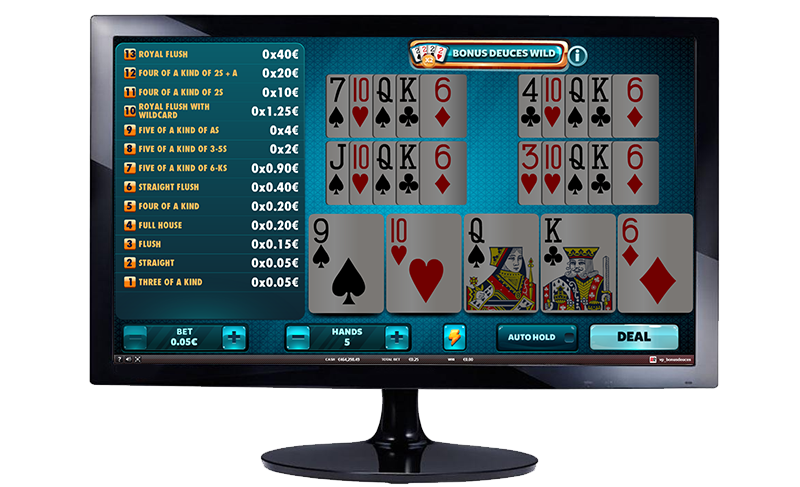 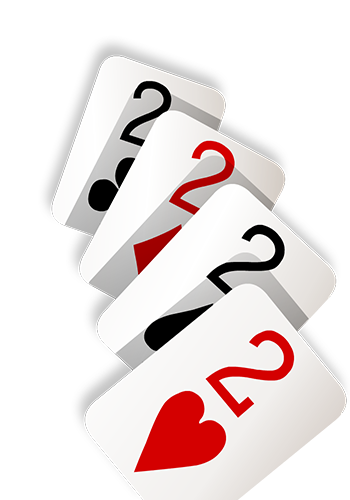 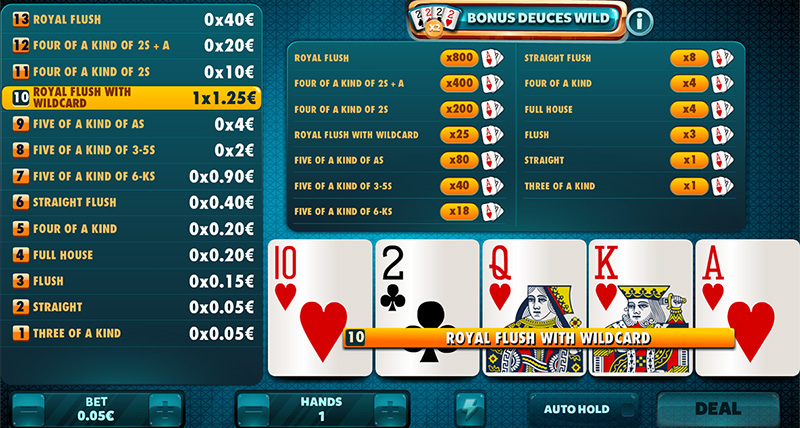 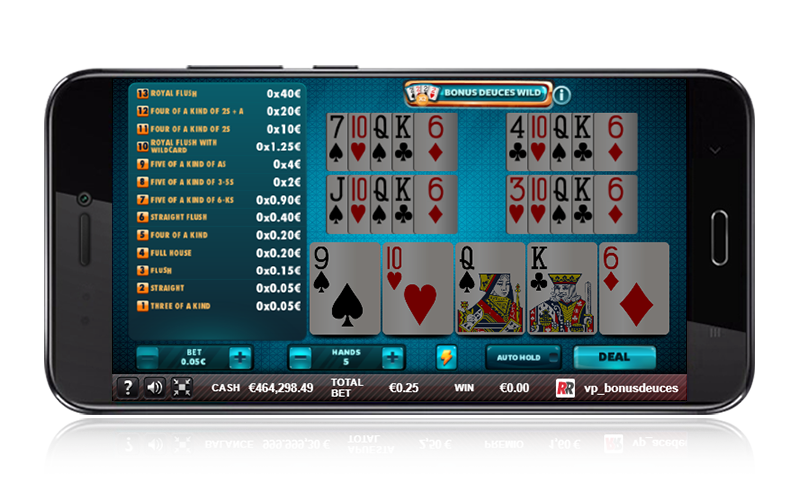 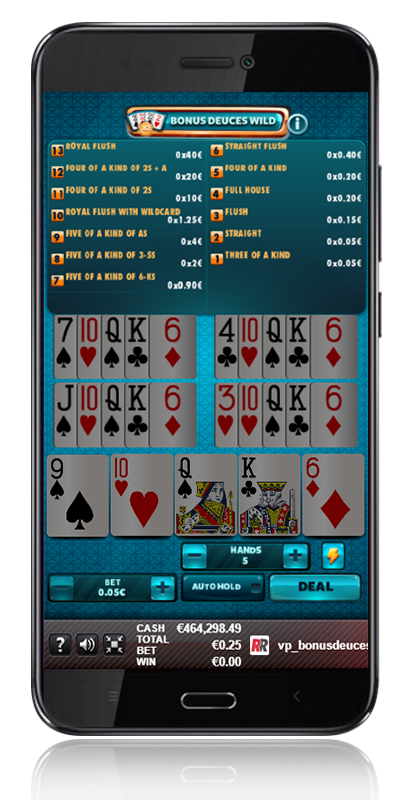 Bonus Deuces Wild: Any hand equal to or higher than a three of a kind will have a prize.